Tasting Notes: 10 Year Old Tawny from Vintage Port in Douro, Portugal. 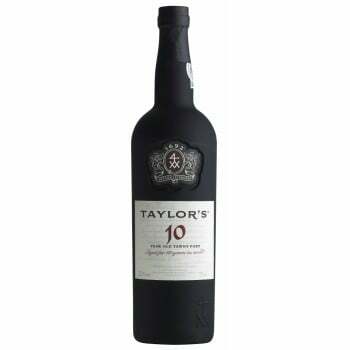 10 Year Old Tawny is part of the Aged Port, which is typically made from the best wines of different vintages aged for a minimum of six years in casks. This style of port was totally matured in seasoned oak casks for years and because of this, the wine slowly develops its amber “tawny” color as well as mellow and luscious flavors. 10 Year Old Tawny is the best illustration of a good tawny style. It is a combination of delicate wood notes and rich aromas of mature fruit, bottled for immediate drinking. This port wine is smooth and silky on the palate containing almonds, berry fruit, and dark chocolate flavors with subtle notes of chocolate, butterscotch and fine oak wood. These wine characteristics are perfect match with rich, blue veined cheeses, walnuts and roasted almonds and best served after dinner.